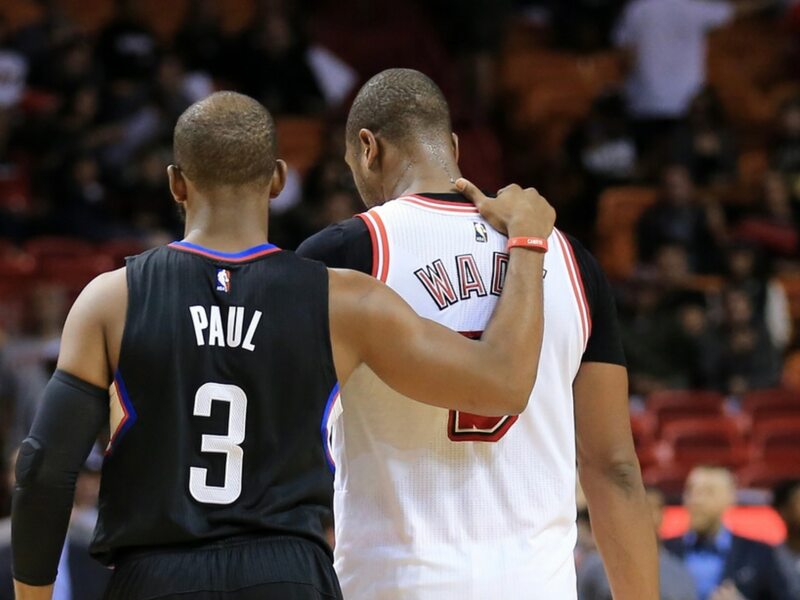 Now that his season has come to a pretty shocking conclusion, Los Angeles Lakers star LeBron James has time to pay homage to longtime best pal Dwayne Wade. The future Hall of Famer is playing in his final NBA game Wednesday night against the Nets in Brooklyn. As the game was getting going, three familiar faces were seen sitting courtside. They were none other than the Banana Boat crew of LeBron James, Carmelo Anthony and Chris Paul. James’ presence is rather interesting in that his Lakers finished up their season in Los Angeles Tuesday evening. He made sure that a cross-country flight wasn’t going to stop him from attending Wade’s final game. As it relates to Paul, his Rockets finished up the regular year in Oklahoma last night. Anthony? Well, he’s been idle since an early-season stint with Paul’s Rockets. On another note, we can expect this group to get together during the summer to celebrate Wade’s retirement after a Hall of Fame-worthy career in the Association.